Solarclips® clip-ons are stainless steel construction with our superior polarizing lens system eliminating glare and providing you with 100% UV protection from the sun's damaging rays. Our patented, all metal flip-up mechanism securely clips to the top of your plastic or metal frame, allowing you to obtain polarized, 100% UV protection with our superior polarizing lens system. Our patented all metal G and D Flip Ups, teamed up with our shatter proof, lightweight polycarbonate lenses, provides the avid sportsman and outdoorsman needing visual clarity while wearing prescription eyewear. These high quality Italian handmade plastic frames can flip up while wearing them. Available in 4 frame colors with polarized lenses and UV400 protection to protect against harmful sun rays. 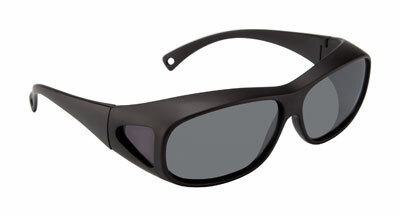 Opsales is introducing the Solar Panels™, our brand new polarized sunglasses to be worn over optical frames. Solar Panels™ is available in 5 styles, 2 colors each. Cou Cou are plastic, light weight and flexible frames that fit comfortably around your neck. Unisex models available with your choice of vibrant or neutral colors with matching cases and polarized clip-on.